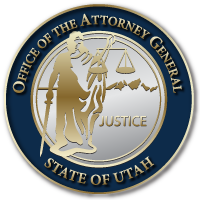 Oct. 2, 2015 – As states continue to address heroin and opioid-based painkiller abuse and addiction and its devastating effect on public health and safety, Utah Attorney General Sean Reyes joined attorneys general from 36 other states and the District of Columbia this week in sending a letter to leaders of the Committee on the Judiciary for the U.S. Senate and House of Representatives urging passage of the Comprehensive Addiction and Recovery Act of 2015 (S. 524/HR 953). The Comprehensive Addiction and Recovery Act would provide states with the necessary tools to more effectively confront the growing challenge of heroin and opioid abuse and addiction. According to the Centers for Disease Control and Prevention, drug overdoses now surpass automobile accidents as the leading cause of injury-related death for Americans between the ages of 25 and 64. More than 100 Americans die as a result of overdose in this country every day – more than half of them caused by prescription drugs or heroin.